If you are an importer or exporter of New Zealand, knowing how long it takes send products it is vital for any business. The ports of arrival in New Zealand for marine shipments are found in: AKL – Auckland, LYT – Lyttelton, NSN – Nelson, POE – Port Chalmers, TRG – Tauranga, WLG – Wellington. Then, most importantly before you import any product to New Zealand is, obviously, in accordance with its supplier the delivery terms abroad. The first and most important service that will have to pay is called maritime transport. And on average, once more, depends on the exchange rate, but we use USD50 per a cubic meter. Then that is the first price that must be paid. The second price that will pay when goods arrive at the port of Auckland, obviously, has to organize the truck and move the container from the port to the store. And then, obviously, someone has to download all the container because when you send a tray of products, share the container with other people. And you have, for example, 10 or 20 different importers and everyone pays their part for their products. Just to simplify, move products from the port to the store, download them and pay some short-term storage, let’s use NZD 100 per cubic meter. The second part which will have to pay, of course, have to find a customs broker to make settlement for you. If you have never done so, yourself, cannot it so be sure to approach an agent of customs at least three weeks until you arrive in New Zealand. 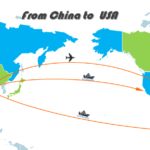 I’d say you have to find a customs agent or a freight forwarder before paying for any product, because you want to make sure that it complies with the requirements of New Zealand and provides you all the correct documents to the customs officer. To make customs clearance and hiring an agent of customs, on average, pay another 100 NZD. And, indeed, that is everything more GST. That does not include any taxes. Then, obviously, you have to pay someone to download the container. Then pay for Customs Broker other NZD 100 to make the firm, and then NZD 100 for general documentation to the shipping line and the freight forwarder. Another thing that has to prepare, if you have never imported any product, should get your customs client number. You want to do it, again, at least two weeks prior to import. 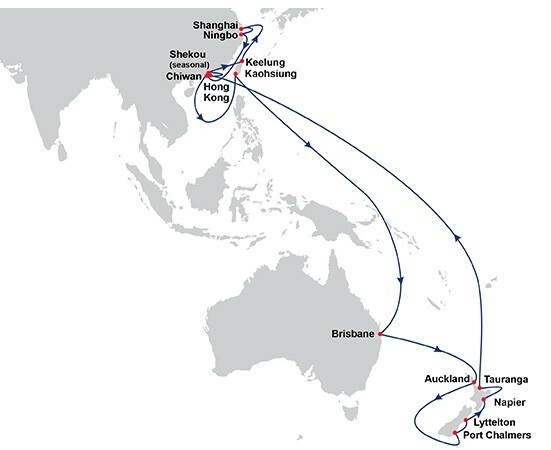 Time that it takes to get a package from China to New Zealand through maritime transport is from 5 to 20 days, and through transport aereo, 3 to 10 days approximately. 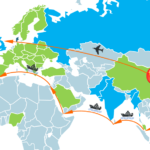 How long can a shipment take from China? How long does it take an Aliexpress shipping with ChinaPost Registered Mail Ems?